Socks – just how trendy can these be? I suppose socks would require more thought when it comes to matching one’s dress, but for the guys, well, anything dark colored will do – thank you very much. 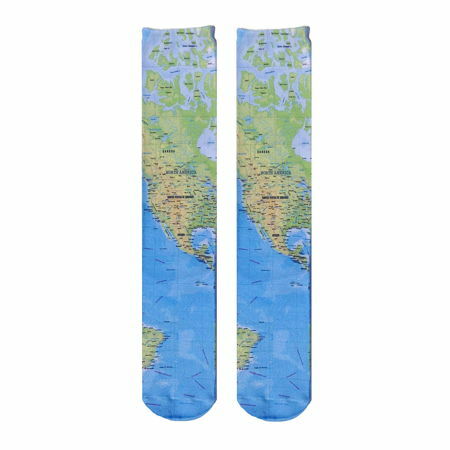 Still, if you have a zany sense of fashion and would like to stand out from the rest of the crowd, there is always this $15 Map Knee High Socks that will ensure you literally have the world at your feet. Printed on soft, 100% polyester, they will ensure that you feel right on top of the world with every single step, and since this is unisex, one size ought to be able to fit most folks.